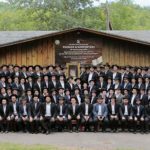 Yeshivas Kayitz Kingston, Oholei Torah’s summer Yeshivah for 8th grade and Mesivta bochurim, has announced Rabbi Yehudah Leib Aronson as the new Mashpia in the 8th grade division this coming summer. Rabbi Aronson, a beloved Mashpia in Crown Heights and Melamad in Oholei Torah’s 8th grade, is looking forward to joining Yeshivas Kayitz Kingston’s 8th grade division. His presence will certainly add to the Chasidishkite of the summer. Y.K.K. 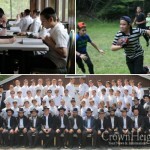 has grown rapidly since its inception only a few years ago, and today is one of the leading summer programs for 8th grade and Mesivta bochurim. 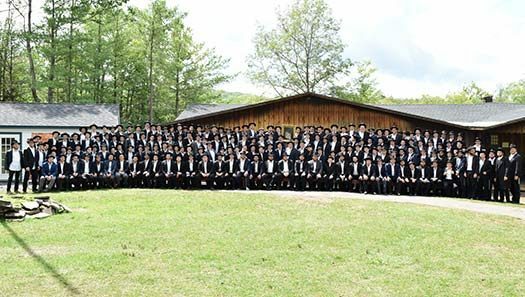 With Rabbi Yisroel Levertov as director, Leivik Fogelman as assistant director, and Rabbi Moshe Silman as camp Mashpia, the Yeshivas Kayitz Kingston program offers bochurim a unique opportunity to spend their summer months in an environment of growth and learning. Y.K.K. this year will run for a full 8 weeks, minimizing the time bochurim are away from the Yeshiva environment. The program combines a rigorous learning curriculum with an impressive array of trips and activities, making for a most memorable summer experience for the bochurim.